The Dropbox add-on is compatible with the old and the new Gmail designs. In the old design, it shows up on the right side of the Gmail logo and in the new design, it is clubbed with the Calendar, Tasks and Keep bar on the extreme right of the screen. 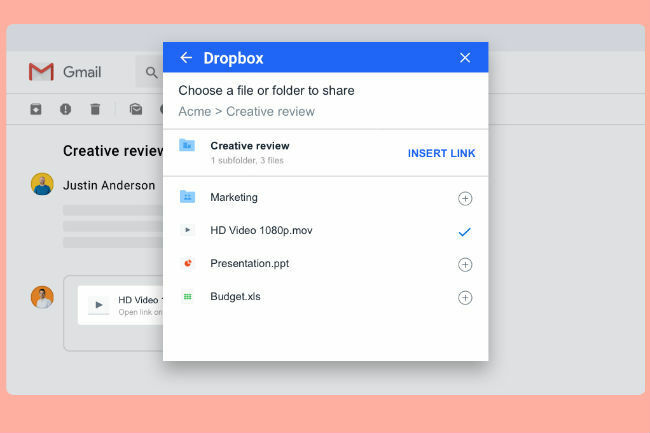 In March, online file-sharing company Dropbox and Google announced a partnership to develop cross-platform integration that connect G-Suite cloud productivity tools and content (Gmail, Docs, Sheets, Slides, Hangouts) with the file-sharing service. The first fruit of the partnership has now come in the form of a Dropbox add-on for Gmail. With this add-on, it will be a lot easier for users to share content on Gmail using Dropbox. This new add-on will work with any browser, as well as the Gmail app for Android and it is also coming soon on iOS. “Stop worrying about file size or inbox space. Just add a link to any file or folder in your Dropbox, and anyone can access it without installing special software. And shared links always point to the latest versions, so there’s no need to update email threads when files are updated,” the company said in a blog post. As soon as you install the plug-in, it shows up on the right side of Gmail logo. For users who have already switched to the new Gmail redesign, it is placed in the bar that has links to open Calendar, Tasks or Keep in the same window as Gmail. When you click the Dropbox icon, a sub-menu pops up to scan the email thread that is open. It scans whether the attachments are links to Dropbox or legacy-style file attachments. It also shows the information about who sent the file, when was the file shared and the names of the files. 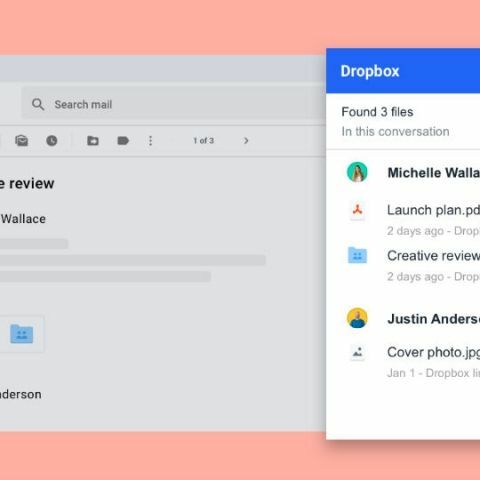 When both the companies tied-up earlier this year, they said that with the integrations, users will be able to create, open, and edit files stored on Dropbox in Google Docs, Sheets, and Slides. “Our goal is to make G Suite accessible no matter what tools you bring to work, and these integrations help our shared customers better collaborate in the tools they use every day. Working with Dropbox to make our apps work better together helps our customers focus their time on work that matters,” Ritcha Ranjan, Director, Product Management at Google Cloud had said. Dropbox will also develop additional native G Suite integrations with Hangouts Chat. The integration will allow users to search for, share, and preview Dropbox files in Google Hangouts. Dropbox had also teamed up with Microsoft to allow Office software users to manage and share files through Dropbox's website and mobile app. Does it make an Android phone faster if I switch from Dalvik to ART on Kitkat?